GREAT PREGNANCY ANNOUNCEMENT CARD: Announcing your exciting news has never been more fun! 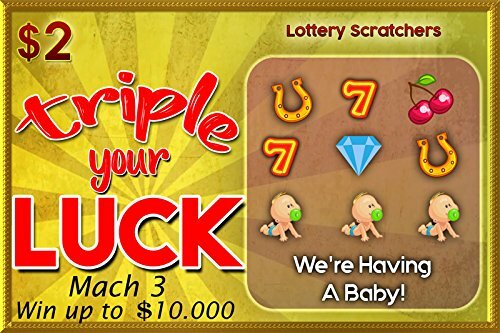 Surprise your family & friends with this replica scratch offs revealing you're pregnant! PERFECT BABY ANNOUNCEMENT KEEPSAKE: This is the best card you will ever use. It will help you give your family and friends a special keepsake to preserve this magical moment. AUTHENTIC LOOK AND FEEL: They won't suspect a thing! Professionally printed and made from 300gsm waxed cardboard and printed scratch off foil, your family & friends will think it's the real thing! 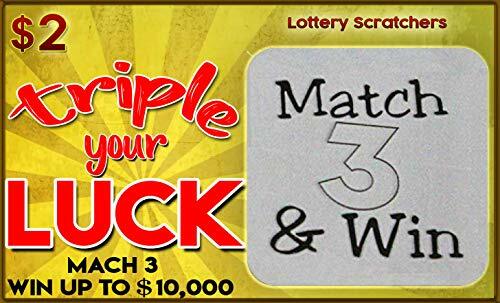 BEST GIFT IDEA ANNOUNCEMENT CARDS : Each pack has 3 identical replica scratch off cards, They are made portable and premium enough serving as the best gift idea to friends. 100‰ SATISFACTION GUARANTEED: As a brand, we believe in quality not quantity! All our pregnancy announcement cards are made for your full satisfaction or you get a refund. 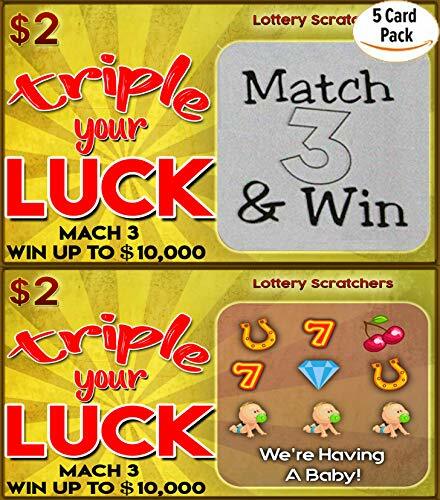 Make your special announcement a day to remember with these replica lottery scratch off tickets announcing your pregnancy! This unique and exciting way of celebrating your big news is a great way of surprising your family and friends and also serves as a great keepsake for them to remember your special day. This card will help you stay different and make your day even more surprising, exciting and memorable than ever! This pregnancy announcement card idea will surprise your family and friends about you pregnant and expecting a baby. Real great way to surprise your husband - the future dad! These cards are the perfect size replica of real lotto's! 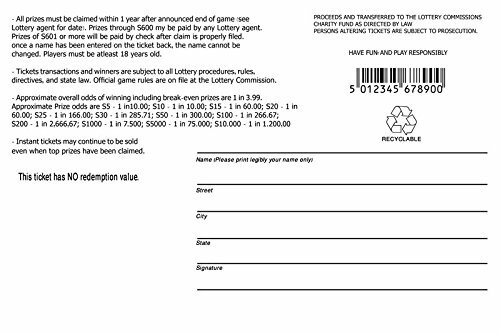 These fake lottery tickets can also fit in any standard size mail envelope! The cards are fake and have no real redemption value. To be use for fun and games purposes only. Please play responsibly! WHAT ARE YOU WAITING FOR? CLICK ADD TO CART AND GET YOURS NOW!